Hello love bugs! Last week we were asked to write a guest post for Linen, Lace, & Love, and we wanted to share the post with all of you as well. Enjoy! The giving of gifts between the bride and groom on the day of the wedding has been a longstanding tradition. However, through the years the gifts have become more modernized and less traditional. The gift doesn't necessarily have to be expensive or over the top, but rather meaningful, personal, and from the heart. If you're having trouble coming up with a cute and in-expensive gift, no worries! 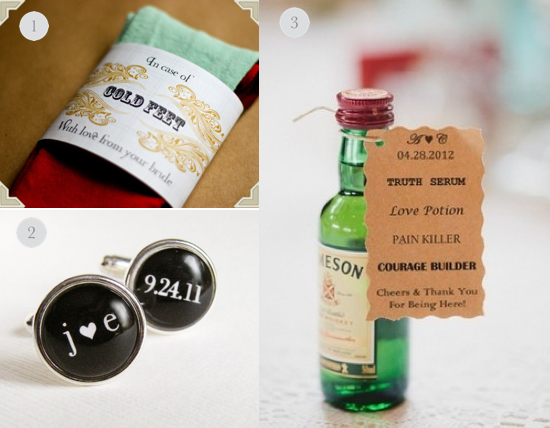 We've come up with a few adorable and fun ideas for both the groom and the bride. Take a peek and let us know what you think! 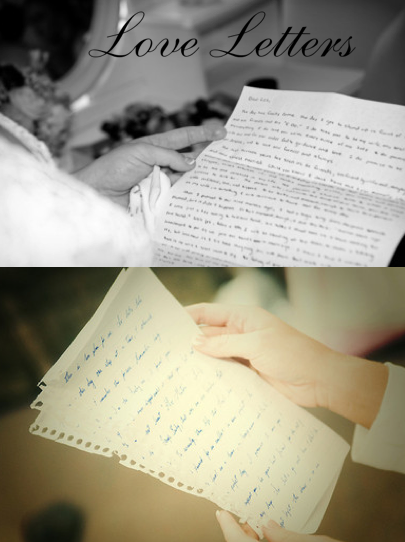 Writing love letters is another sweet and simple gift. Though your wedding vows will be read at the altar, a love letter is a personal and more private message specifically meant for the bride and grooms eyes only. Have your maid of honor or best man deliver the letters while the happy couple is getting ready. Remember to give the letter to the bride before she gets all glammed up, so she doesn't ruin her pretty makeup! 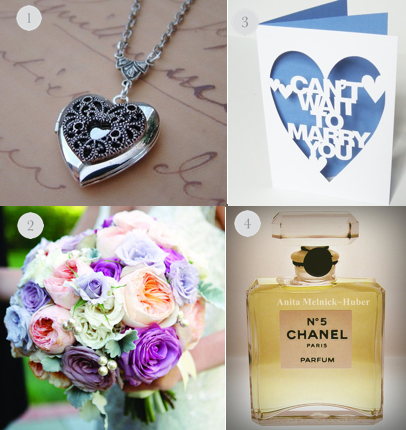 Whatever gift you decide to choose, just remember to keep it simple and romantic. Try to pick something that will calm the nerves of your other half, and put a smile on their face. Good luck everyone!